Just weeks after workers won a historic settlement against UPMC and forced the hospital to reinstate fired workers and union activists Frank Lavelle and Ron Oakes, UPMC is at it again. On the same day Pittsburgh’s Mayor announced the City would be challenging UPMC’s charity status, UPMC fired Ron Oakes AGAIN. Ron is widely known as someone who goes above and beyond for his patients and is quick to lend a hand to his coworkers. 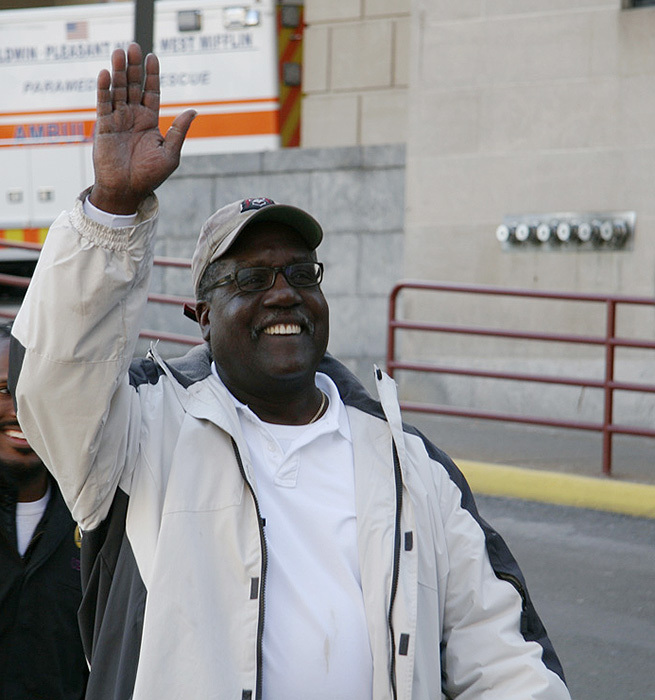 Support Ron and the rest of the UPMC workers in their courageous struggle by signing the petition to demand that UPMC bring Ron back to work immediately. UPMC has also stepped up its harassment, surveillance, and in some cases, suspension of workers for their union support. UPMC even called the police on workers who were talking about the union on their lunch break. Despite UPMC’s outrageous behavior, workers are refusing to back down. But they need your help. Sign the petition and tell UPMC to reinstate Ron today!